How to make 3D flowers using the Framelit set of Flowers, like the one above. 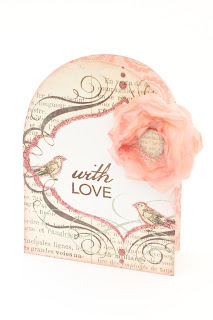 Click here for the tutorial over at the Sizzix blog. Wow Paula. This card is beautiful!! The flower looks amazing... off to check the tutorial out. This is really berautiful Paula. kive the colours and the beautifil layout. Gorgeous flower.